Stocks are set to close the week on a 3-day losing streak, barring a late day rally…. Traders are spooked after hearing news that the trade negotiations between the U.S. and China are moving slow. Also, fears of another government shutdown are weighing down on stocks. When it comes to my trading and what I teach my clients – news headlines are just background noise. I trade what I see and focus on what I know. You see, I primarily focus on three chart pattern setups, I call them the rocket (breakout), fish hook (oversold), continuation (rest and retest). But, it’s not just about the charts, there needs to be a catalyst too… And of course, finding value is essential… I need to get in when the risk/reward is stacked in my favor. In the past, I would try to do too much, trade options, experiment with other strategies. But it all ended up costing me money (trading losses). So while I do pay attention to the news and the world around us, I’m not obsessed with it because I’m primarily trading penny stocks and small caps. And penny stocks trade on their island, meaning they often have no correlation to how the overall market trades. That said, it’s Friday, and I want to share with you how to trade one of my best strategies, the rest and retest, AKA the Fibonacci retracement trade. Today, we’re going to do something different. I want to show you how my star student, Kyle Dennis trades it. 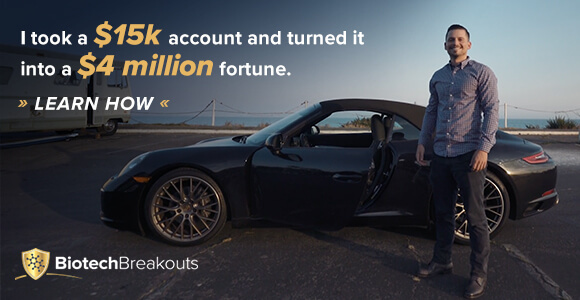 He’s been able to take a $15K trading account and turn into nearly $6M in career trading profits. Over the last four years, Kyle has averaged more than six-figures a month in trading profits. 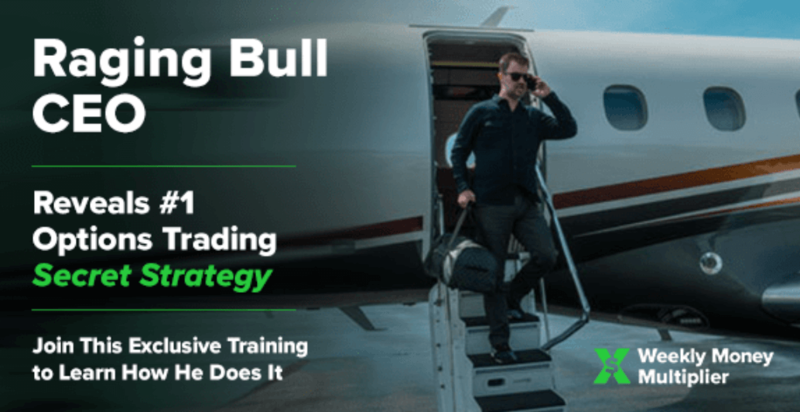 Let’s check out this case study highlighting how he works the Fibonacci Retracement trade – in his own words – a simple-to-learn strategy that produces consistently profitable results. Before we get started learning about the Fibonacci retracement pattern, let’s look at how you could look for stocks to trade. Keep in mind, you could change these filters to fit your needs, I’m just showing you what works for me. Maybe you like to trade healthcare stocks with ADV greater than 750K… just focus on what works for you. Now, you could also filter for chart patterns, such as the “Double Bottom” pattern. To find Fibonacci Retracement trades, you’ll need to conduct daily or weekly scans… looking for stocks with strong moves higher. For example, maybe you want to look for stocks that have been up 30% or more on the week. All you would need to do is go under the “Technical” tab and click on the dropdown menu for “Performance”. Just from looking through my many filters and charts, I come up with a watchlist that I send to members. Moreover, I alert them about my next moves all the time. For example, here’s a look at one stock that I found using the Finviz Screener. Check out this daily chart on vTV Therapeutics Inc. (VTVT). What do we look for with the Fibonacci retracement pattern though? We want to see a sharp move higher, generally, I want to see the stock double or more. That’s exactly what VTVT did. Thereafter, the stock should pull back and reach a demand line – typically the demand line or support is around a key Fibonacci retracement level. Now, the support area is between $2.26 to $2.55. In other words, traders were willing to buy the stock around that area. Some traders will chase a stock that’s doubled, only to lose money… I like to be patient and wait for there to be a clear support area. Notice the Fibonacci retracement levels here. We could clearly see the demand lines, as shown below. Take note, we’re using technicals here, so it’s not an exact science. It’s more of an art form and you’ll need to be creative at times with your entries. Well, once I saw this pattern, I alerted members about my entry. Literally, a few minutes after I got in, I was selling. Even though I did not hold the stock to my target… it makes sense to take profits. When a stock moves that quick, you’ve got to start thinking about taking profits because it could easily pull back in and break below the demand line $2.50 area here. That’s right, I bought shares at 9:44 AM and snatched $6,500 in trading profits at 9:53 AM the same day… that’s just 9 minutes… That’s a heck of a lot more than I was making on an hourly basis when I was working a normal 9 to 5 job. Well, it’s simple, I use my 3-C’s program for finding trades like VTVT: Catalyst events, Charts, and Credibility. Ready to Take the Next Step…? Sometimes its good to learn about the same topic but with another person’s point of view. It can help reinforce what you’re learning, and maybe gain a greater perspective. So a special thanks to Kyle for sharing his approach to the Fibonacci retracement trade. If you want to learn how to snipe stocks like Kyle does, make sure to check out this video here. As for me, you know it’s Fibonacci Friday, and later this afternoon I’ll be looking to put on some overnight positions that could potentially bring in some huge profits come Monday morning. I’ll keep you posted over the weekend, or you can try to gain access here.